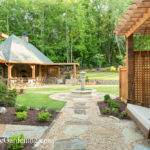 At Art of Stone Gardening, we are invested in the health and long-term vitality of your landscape. 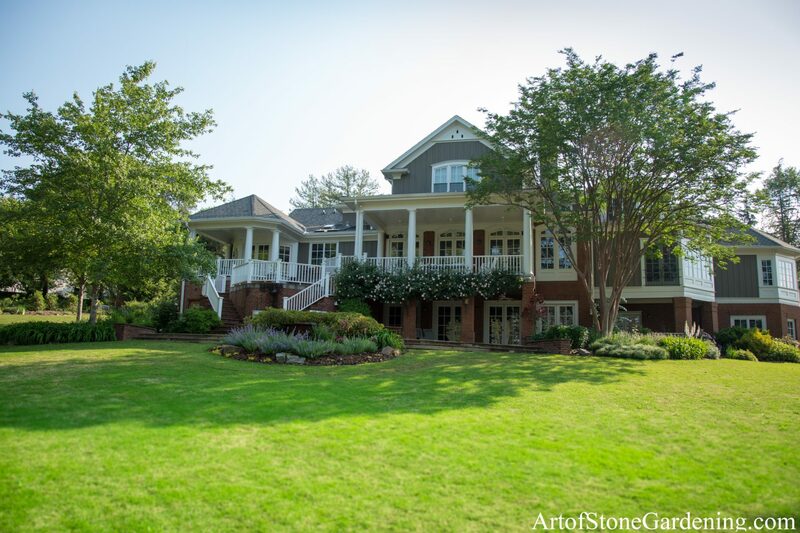 Whether we installed your garden or you are simply looking for someone to care for your existing landscape, we tailor our maintenance services to your specific plant varieties and their needs throughout the seasons. 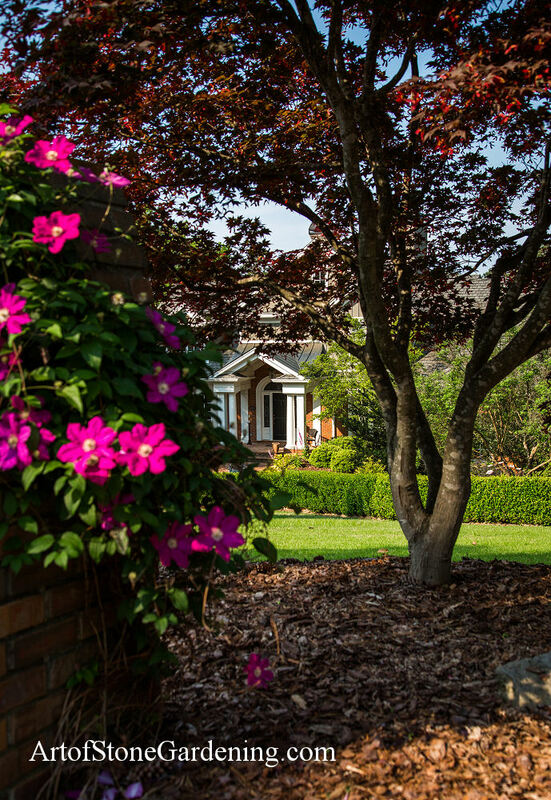 Our goal is to ensure your garden thrives for years to come. Trees and Shrubs require yearly pruning to encourage new growth and to keep them healthy. Late winter and early spring, when the plant is dormant, is the time to prune for most trees or shrubs to reduce the stress caused by pruning. 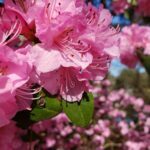 However some plants, shrubs especially, require pruning in May because their spring blooms formed the previous year. We start by removing dead or weak branches. This is important because straight, clean cuts are easier for plants to heal than a jagged or ripped edge caused by these branches breaking on their own. Next we focus on thinning the foliage to allow sunlight and air into the plant. This keeps the plant from choking itself out and encourages it to grow stronger. Lastly, if the tree or bush requires, we shape it. When a tree or shrub grows out of control for too long, or isn’t doing as well, a hard pruning can be the best choice. A hard pruning cuts off two or three times more than a regular pruning, giving the plant a fresh start. Not all plants can handle this and knowing how far you can cut back different plants is vital. But our trained gardeners are experts at rejuvenating overgrown or sick trees and shrubs. When a plant is planted in the wrong location it becomes vulnerable to disease. And the location is usually “wrong” because of how much water there is or how much water the soil holds. 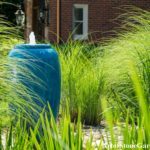 So when performing maintenance our crews are constantly on the lookout for perpetually wet or overly dry soil, sick or sad plants, and any fungi or parasitic insects. If any of these are found, we will immediately notify you and collaborate on a plan of action. Weeds are the bane of every garden and there isn’t a perfect solution. 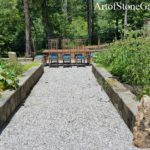 However at Art of Stone, we use a combination of hand pulling and herbicides to keep the weeds under control without doing unnecessary harm to your plants or the environment. We are also proud to offer an all natural herbicide that ruthlessly kills weeds upon request. Feel free to research Dr. Kirchner’s All Natural Weed Killer. We keep your garden beds clean and free of dead plant material. This includes cutting back perennials in the fall and winter and keeping leaf litter from choking your plants. Some clients have a compost heap or burn pit that they want this debris left in, but for everyone else we are glad to haul this off.